Here at Blinds4UK we know how important security is. All transactions take place via a secure server so you can shop with confidence. For your online and telephone credit card transactions, we've teamed up with Lloyds TSB Protx and Geotrust to offer you a safe and secure shopping environment. To ensure your security, Blinds4UK has gone to great lengths to guarantee that your personal information will be safe. We want to give you a worry-free ordering experience which is why our site uses Geotrust Secure (Digicert) Server Technology which encrypts all of your personal information. What is SSL? Secure Sockets Layer (SSL) is a protocol for enabling data encryption on the Internet and for helping web site users confirm the owner of the web site. 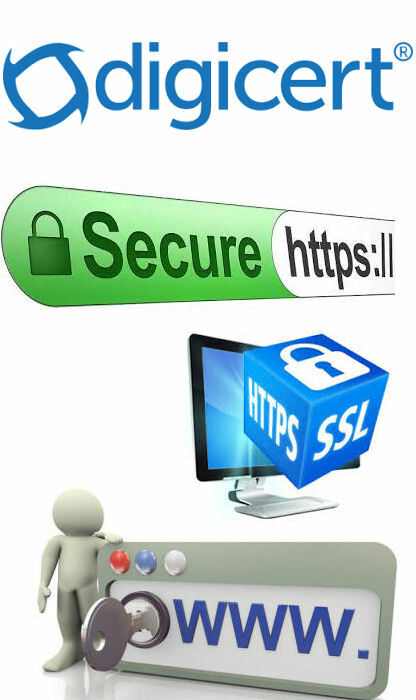 SSL is most commonly used to protect communications between web browsers and servers. However, it is increasingly used for server to server communications and for web-based applications. What is encryption? This is a mathematical process of coding and decoding information. The number of bits (40-bit, 56-bit, 128-bit, 256-bit) tells you the size of the key. Like a longer password, a larger key has more possible combinations. When an encrypted session is established, the encryption level is determined by the capability of the web browser, SSL certificate, web server, and client computer operating system. How do web vistors know if a website is using SSL? When a browser connects to a secure site it retrieves the site's SSL certificate and checks that it has not expired, that it has been issued by a Certificate Authority the browser trusts and that it is being used by the web site for which it has been issued. If it fails on any one of these checks the browser will display a warning to the end user. If it succeeds, several security indicators are built into modern browsers to indicate SSL is enabled. The Site is Secure - when a browser connects to a secure site it retrieves the site's SSL certificate and checks that it has not expired and that it has been issued by a Certificate Authority the browser trusts and that it is being used by the web site for which it has been issued. If it fails on any one of these checks the browser will display a warning to the end user. If it succeeds, several security indicators are built into modern browsers to indicate that SSL is enabled.When the secure pages displays https ate the beginning of the URLor web address then a padlock on the browser window in the locked position will display.